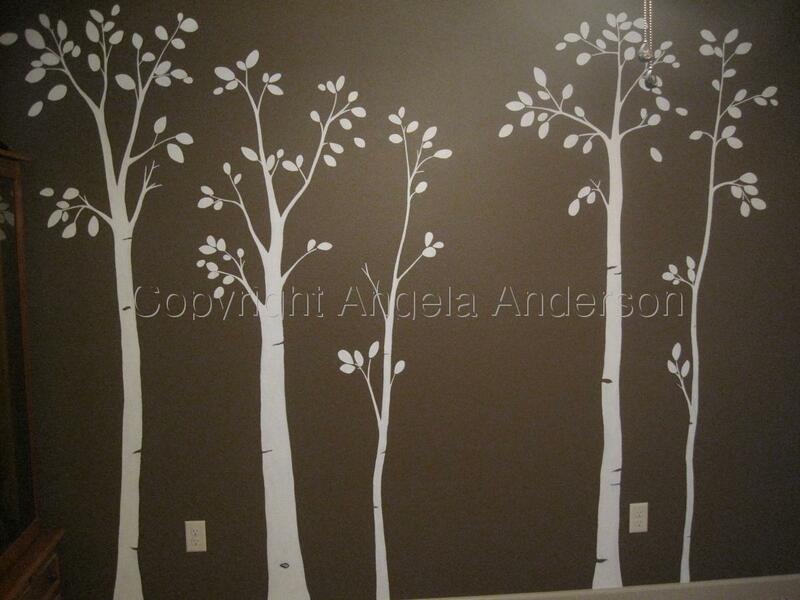 Mural of white birch trees on a dark brown wall. Modern, contemporary silhouetted design. Perfect for a nursery or any room. Please contact me for a quote.